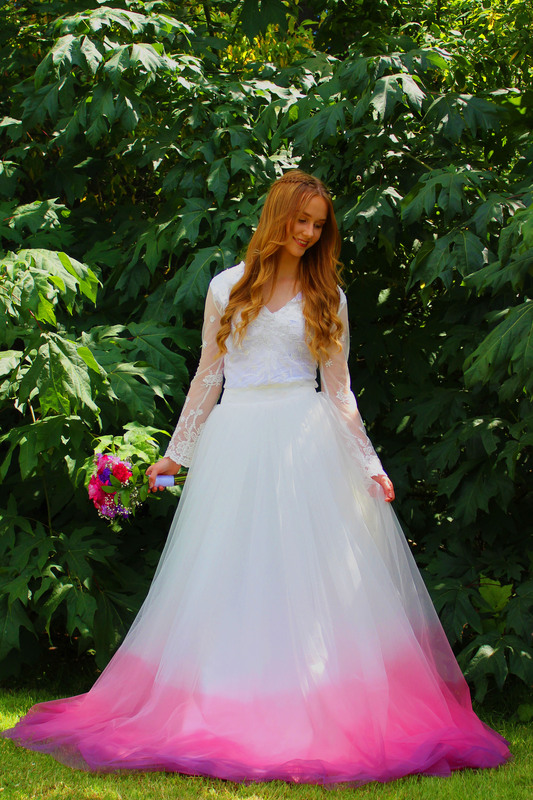 Are you looking for a show-stopping, gorgeous wedding skirt? 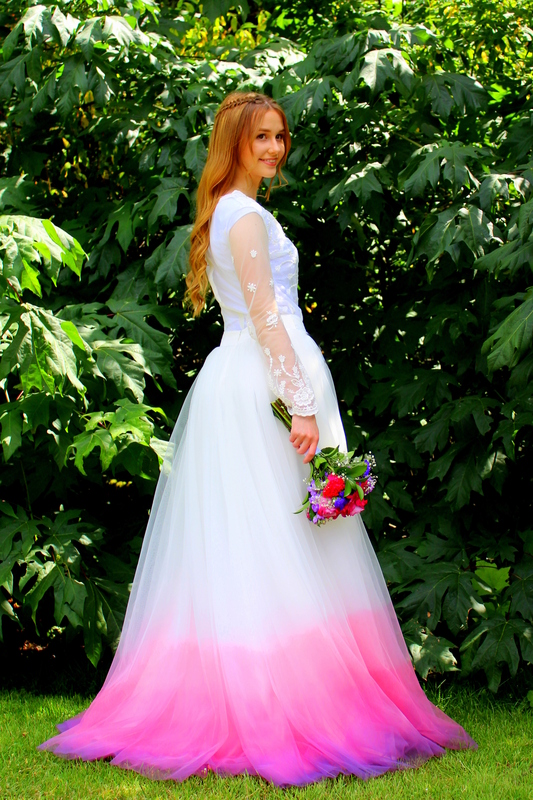 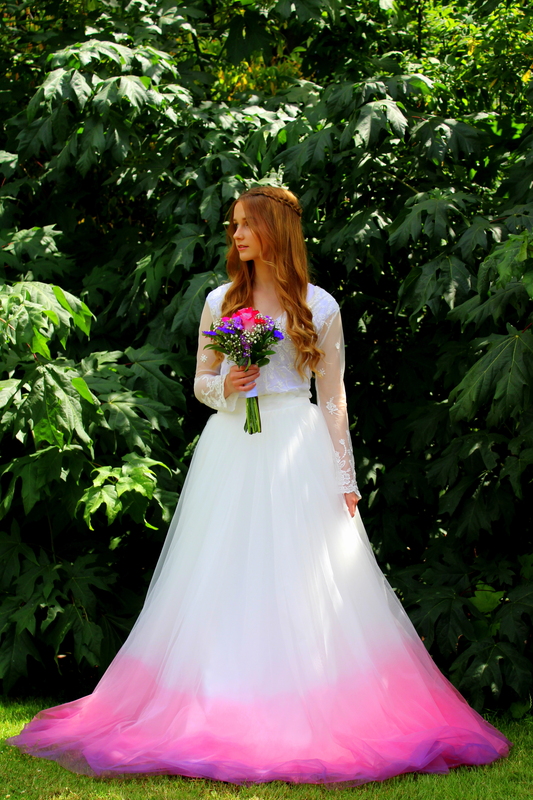 Our “Rose” ombre wedding skirt provides all the “wows” you’re looking for, while still providing an elegant and traditional look. 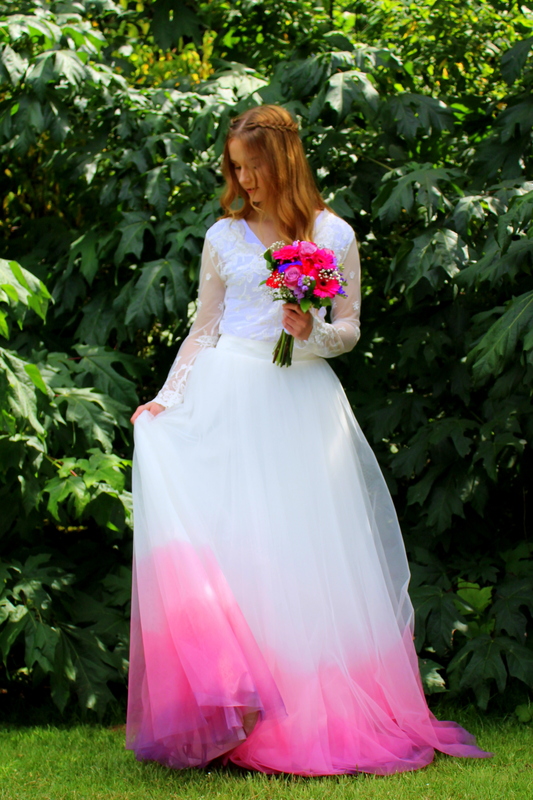 Available in a variety of colors, our ombre skirt is highly customizable. 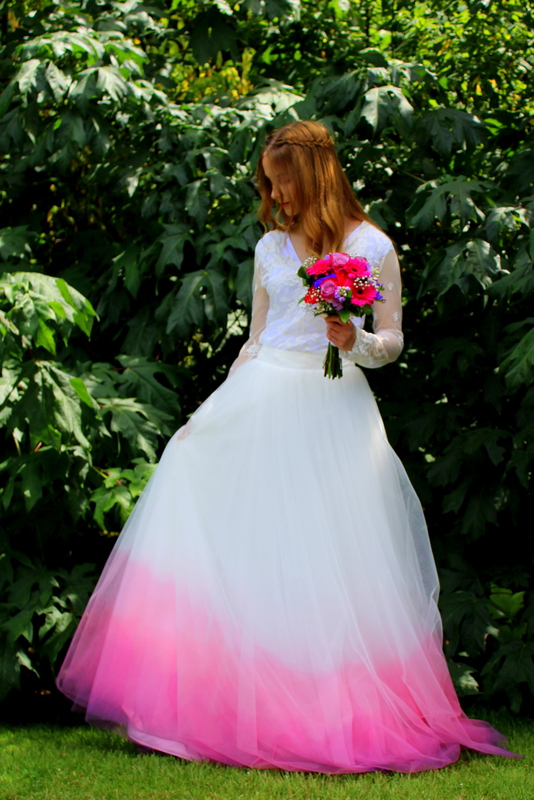 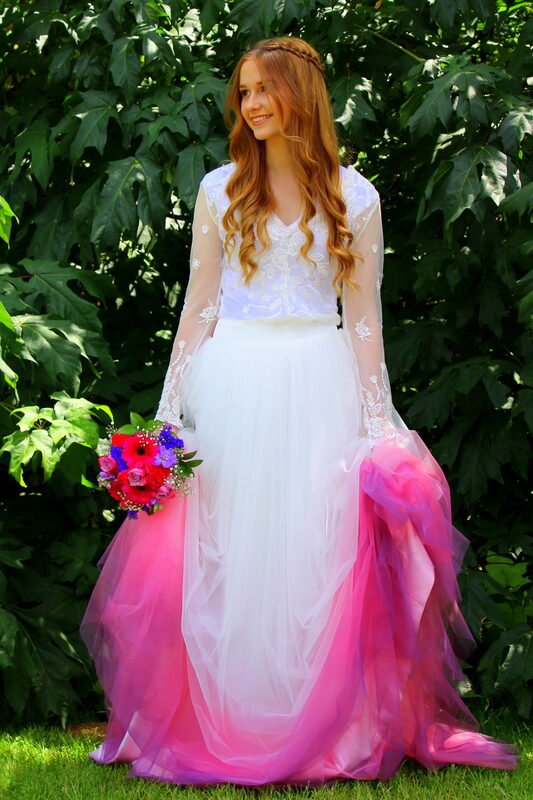 Please drop us a line today to get started on the ombre skirt of your dreams!